Malta is the best destination for a family holiday with kids. It’s an island country located in the central Mediterranean Sea, it’s small but with a rich and turbulent history. The country is an archipelago with the three largest islands being Malta, Gozo and Comino. Malta played a crucial role in the struggle of power between the ancient cultures of Europe, the Middle East and Africa. But why are over 2M tourists so curious to travel to Malta every year? First of all the capital of Malta, Valletta is one of the UNESCO World Heritage sites plus it has been crowned as the European Capital of Culture for 2018. There are various beautiful architectural masterpieces as well as the oldest Megalithic Temples in the world, which were also included on the UNESCO World Heritage List. 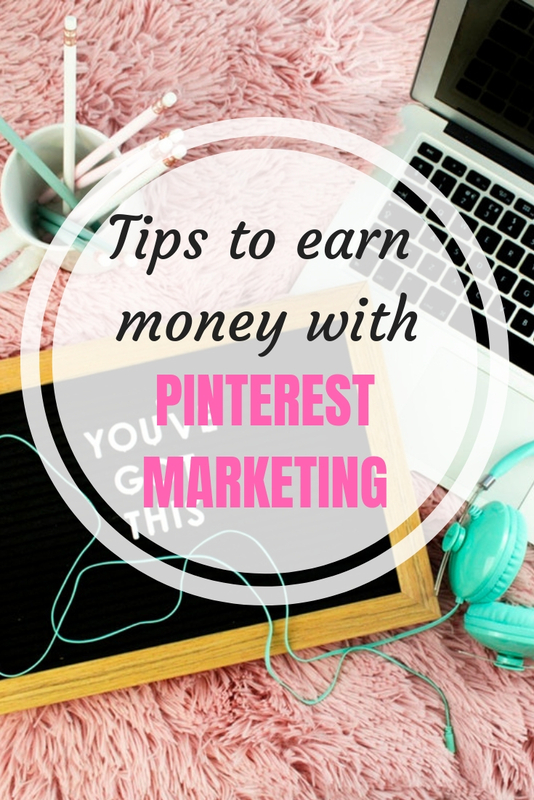 Moreover summer is almost all year round, winters are very short just 2 months long. I would suggest to visit Malta in September or beginning of October to avoid the heat of the hot and dry summers. Malta in September is warm, sunny and dry. The temperature is around 26°C to 29°C. Nevertheless take enough sunscreen and a hat to protect your skin from the vicious sun. The medieval Malta is a small island with the population of 460,297 citizens. It’s full of lovely villages, reminiscent of when the Knights of Saint John settled the island. Maltese’ hospitality is renowned for it’s warmth and kindness. 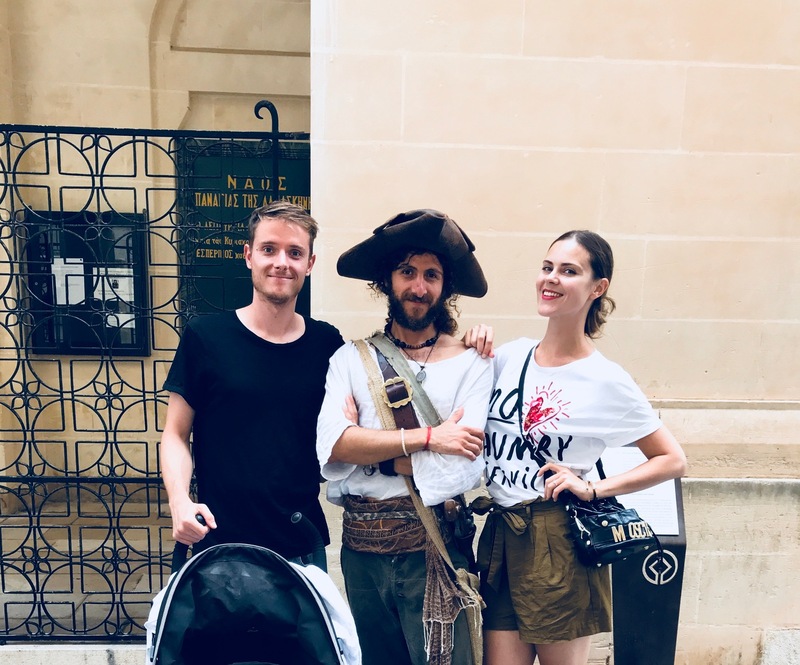 Additionally they adore babies and children, so if you travel with your little one and he gets fussy, don’t worry, people in Malta will smile and wave at him to help you out. The official languages are Maltese and English, making it easy to travel on the island. The Maltese language by the way is a fusion of Arabic and the Sicilian dialect of Italian. Because of being under British rule from 1800 until 1964 there are various English influences like driving on the left side of the road. Nowadays Malta is a part of the EU so the local currency is the Euro. Everyone who visits Malta can find something to fall in love with. No wonder that movies like Troy, Game of Thrones, Gladiator and Assassin’s Creed were filmed on this ancient island. There are various ways to explore and get around Malta. The public transport mainly bus rotates daily and frequents between all the towns including the coastal road. 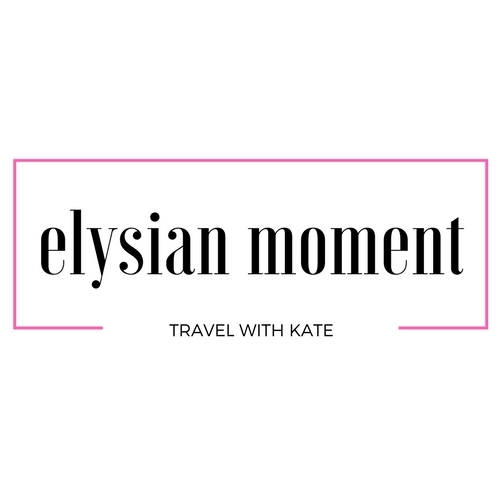 A one way ticket costs 2€ but you can also get a 1 week pass for 14€ to save some money. Because of high numbers of tourists and locals buses driving between St. Julian and Valletta are often crowded. Most families own cars but because the number of vehicles per household is one of the highest in Europe there is a lot of traffic going on on the roads of Malta. 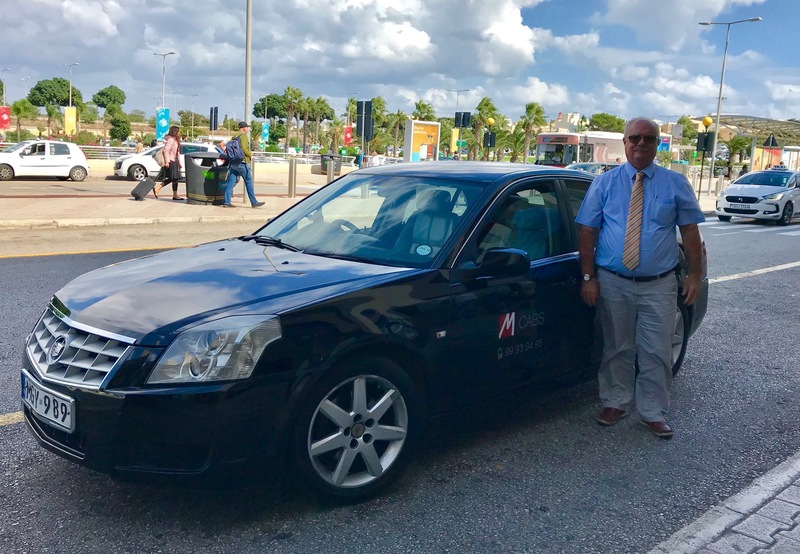 A great and efficient way to travel in Malta is by private driver. Because we were visiting the island with our baby we decided to arrange personal transport from and to the airport with MCabs. We arrived pretty late and our driver was already expecting us directly at the arrivals gate with my name on a sign. It’s an amazing feeling to know that everything has been taken care of in advance. We arrived at our destination safely and without any hustle. You can also find ferry services between Malta and Gozo, and even Malta and Sicily. On our family holiday to Malta we decided to book a hotel which was based on the seaside town St. Julian’s (Maltese: San Giljan). 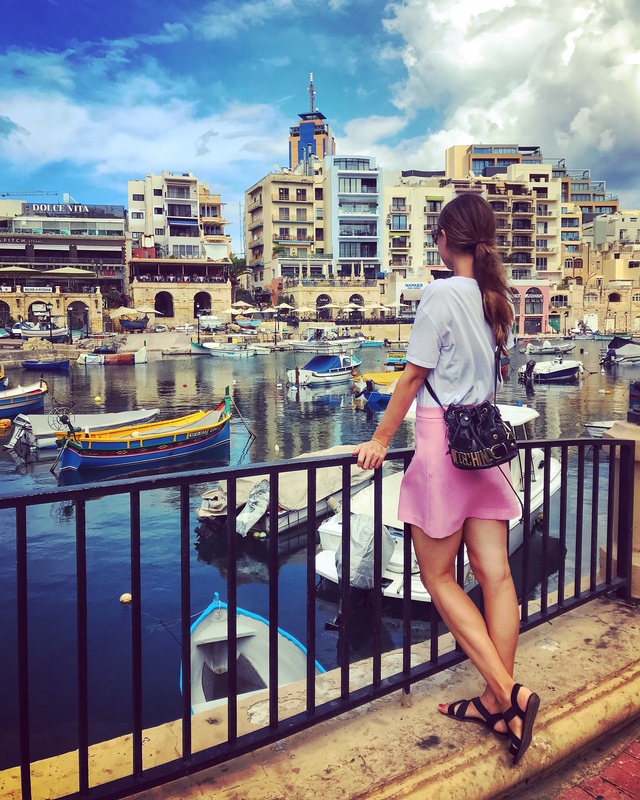 It’s situated next to Sliema, a former fishing village that turned into shopping and eating area and it’s north of the Malta’s capital, Valletta. St. Julian’s is known as a tourism-orientated area full of hotels, restaurants and nightclubs. Honestly I was surprised that so many 5 stars hotel were located in this town, it’s not a very charming place, the atmosphere wasn’t very appealing to us and there is not much to experience as a family. Nevertheless we were lucky to watch the beautiful fireworks from our balcony dedicated to the Independence Day of Malta on the 21st of September. As I already mentioned Malta is indeed an open air museum with numerous scenic towns. The main attractions of it are spread all over the island that’s why we decided to experience MCabs’ Full Day Tour to save some time and patience while we were also traveling with our baby. It was the best decision to see everything in one day on our family vacation in Malta. We were picked up from our hotel at 9:30 am and headed straight to beautiful Valletta. 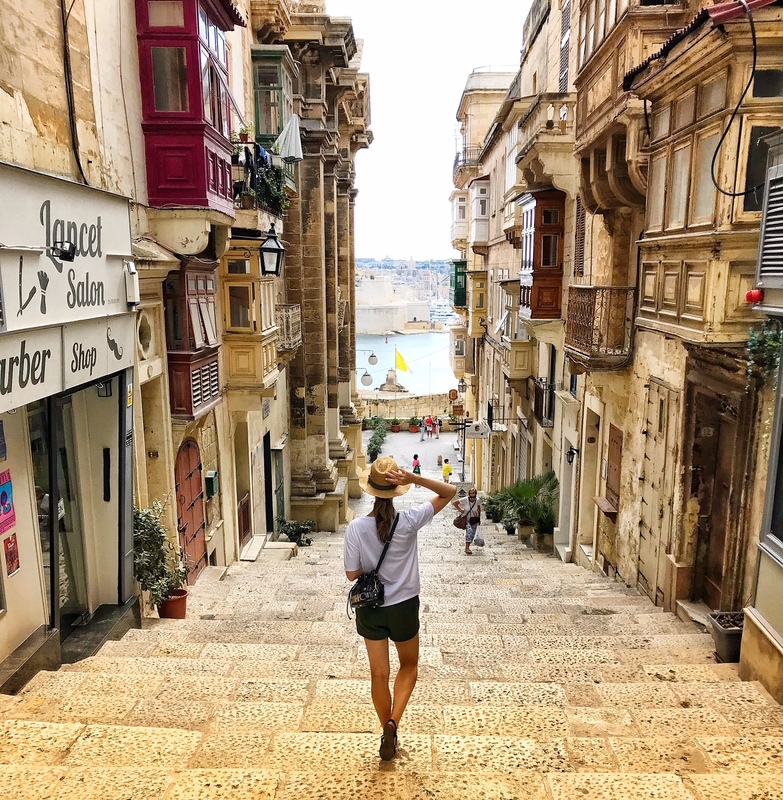 It’s a must visit and wander through the charming narrow streets of Malta’s tiny capital Valletta, built by the Knights of St. John on the peninsula. It’s founder decreed that it should be “a city built by gentlemen for gentlemen”, and it retains it’s 16th-century golden-stone fortresses. Don’t be fooled by it’s size because Valletta is “one of the most concentrated historic areas in the world”. James, our guide was showing us the most significant areas and buildings of Valletta. He told us a lot about Malta’s history like the meaning of Order of St. John. Besides on another day you can also visit the famous St. John’s Co-Cathedral if you don’t mind standing in the long queue, or the Casa Rocca Piccola, a 16th century palace repleted with impressive paintings and antique collections. Enjoy the picturesque view of the Three Cities and Grand Harbour from the Upper Barrakka Gardens. If you make it there at 12am you can witness a midday gun salute, firing the cannons. 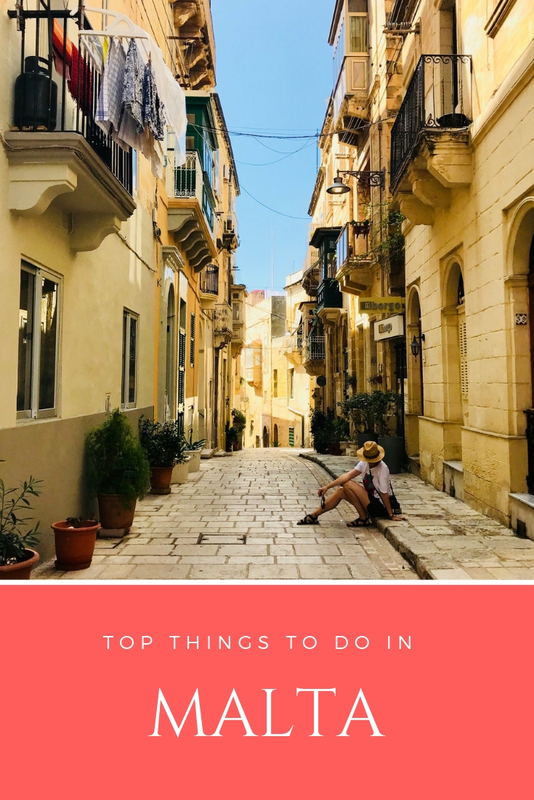 Surely but right Valletta spoils it’s guests with numerous cafés and restaurants where you can enjoy a glass of local wine or beer Cisk on the terrace. 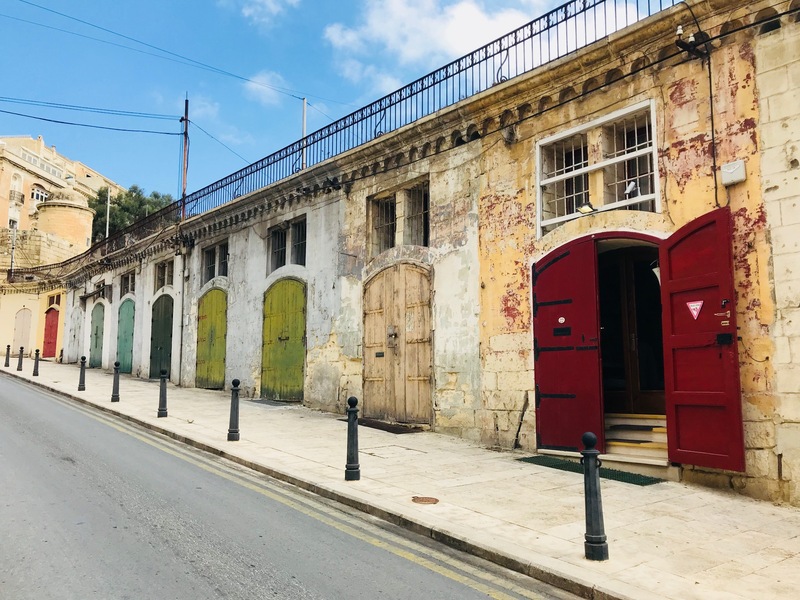 There is another great guided walking tour that introduces you to Malta’s shady mysterious past and I would definitely recommend it to everyone. 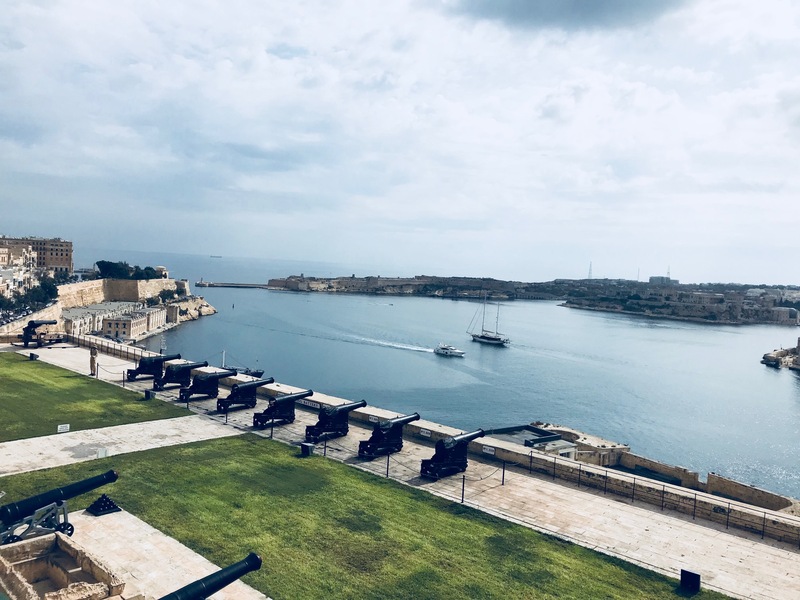 Corsairs of Malta Tours are full of provocative and captivating information, on the other hand if you are traveling with little ones it can also be organized to be innocent children’s ears friendly. I didn’t expect that there are so many dark secrets about the corsairs, the Order of St. John and Malta’s cruel history. All these intriguing facts have just recently been exposed and the tour guides are continuing to research this shocking topic. That means more and more of these violent but colourful facts will be added to every tour. 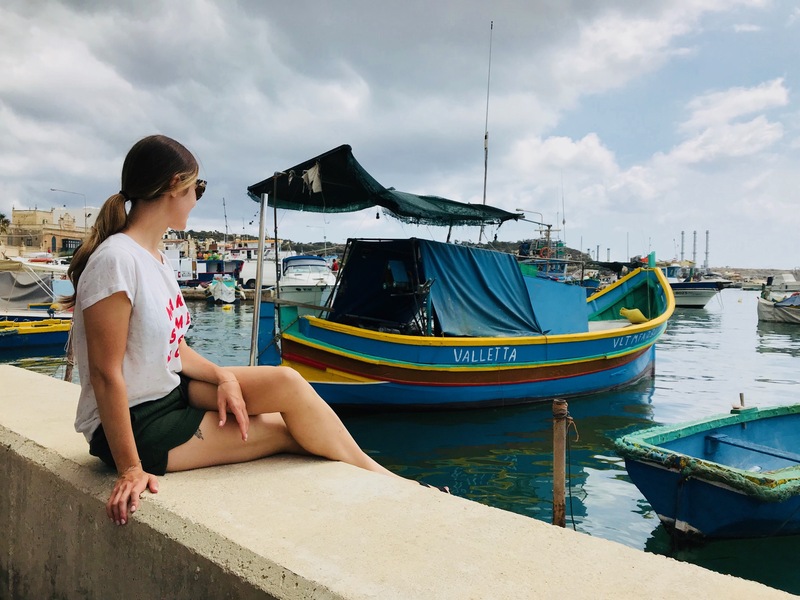 After spending 2 hours in the capital of Malta we’ve been driven to one of the most famous fishing villages in Malta, Marsaxlokk. The brightly colored fishing boats, morning markets and restaurants serving freshly caught fish among the harbour are the main attractions of this peaceful place. Interesting fact though every boat has an eye painted on the bow, the symbol of health and protection. It ensures that the fishermen are being kept safe while they are out to sea. We tasted the local seasonal fish lampuka at one of the restaurants in Marsaxlokk. My tip let your tour guide know what your budget is for the lunch so you won’t be surprised with the bill. Afterwards we made our way to an ancient capital of Malta: Mdina. Located at a high point in the heart of the island, medieval Mdina has been dubbed as the “Silent City”, which perfectly describes this place. Approximately 300 residents mainly aristocrats and nobility live in the fortified city that traces back to 800 BC. There are limited cars and all this contributes to the peaceful and timeless atmosphere. 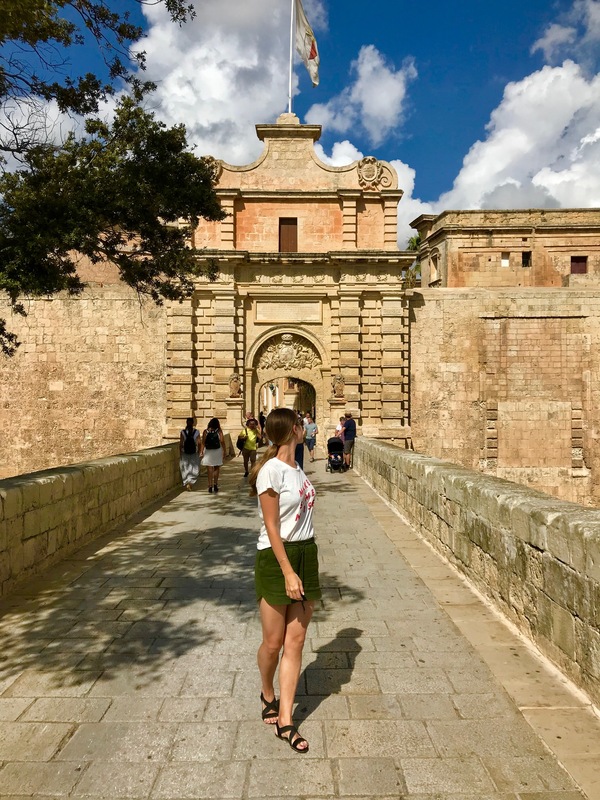 We were exploring magical Mdina, walking through it’s walled, narrow laneways and visiting some churches. We could also enjoy the 180º view of the island from the top of Mdina. Afterwards we were invited for a drink in one of the gorgeous cafés with unique views over the countryside, Fontanella Tea Garden. Regrettably I didn’t try their homemade cake but this place is famous for it! 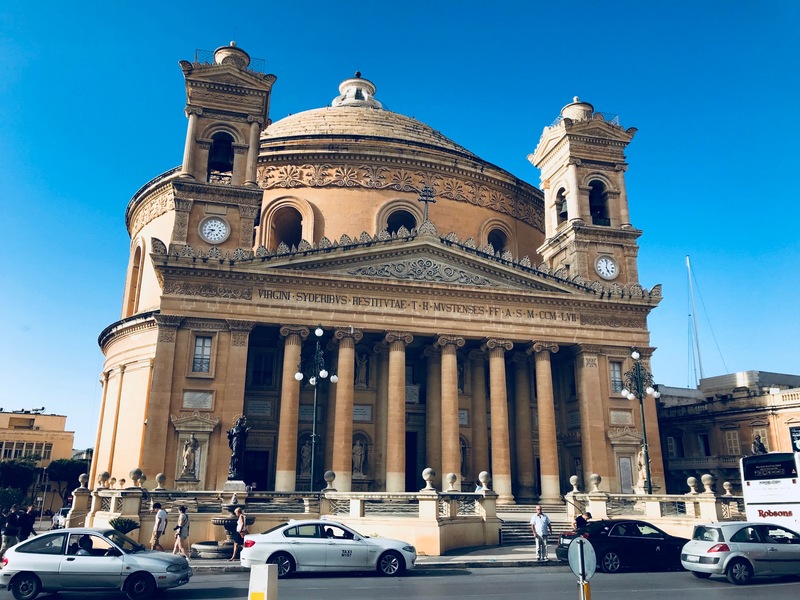 Our final destination after the exciting day of getting to know the best of Malta was the Rotunda of Mosta. 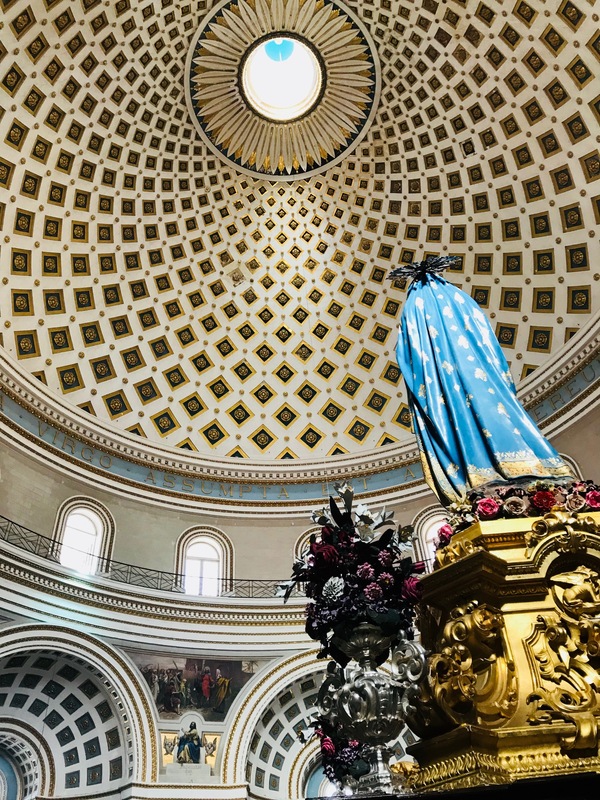 Mosta is at 66m high the third largest unsupported Dome in Europe after the St. Peter’s Basilica in Rome and St. Paul’s Cathedral in London. Golden limestone from the outside and amazingly colorful and quiet inside, this gorgeous building is indeed impressive. There is a tragic and fortunate story behind it: During WW2, a half tonne bomb was dropped on the building, going through the roof, it didn’t explode or injury anyone, this was regarded as a miracle. 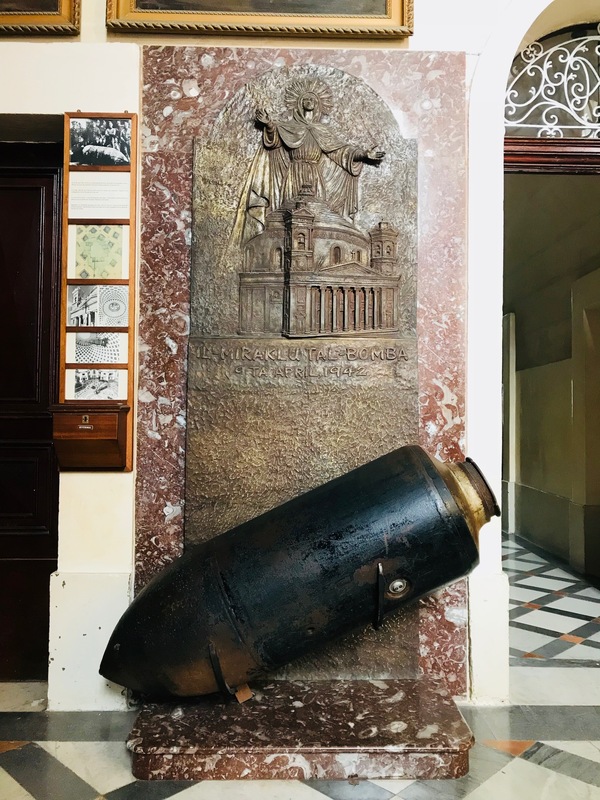 There is a small room in the church which shows a replica of the bomb. Around 6pm we were brought back to our hotel bursting with memorable impressions of Malta. My partner and I were truly amazed on our first day what this tiny island has to offer and our baby seemed to enjoy his first trip as well. 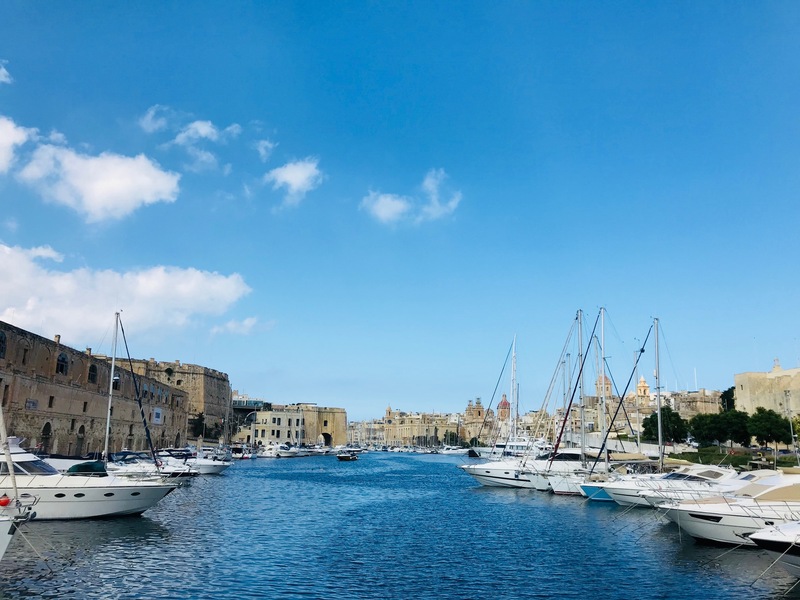 It was doubtlessly worth to plan a tour with MCabs, our guide James showed us the best of Malta and introduced us to the authentic Maltese culture. Loved it! 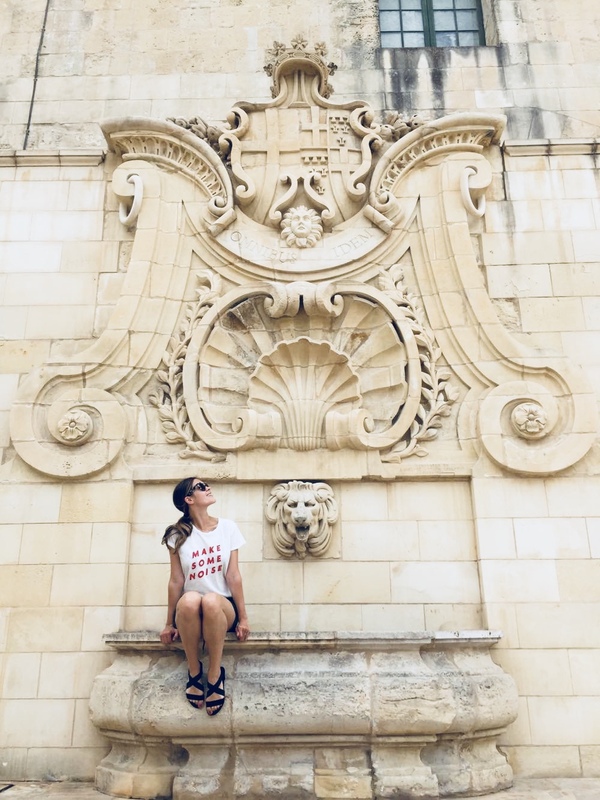 One of my favorite parts of our family trip to Malta was to be transported back in time and explore three fortifies cities of Cottonera: Vittoriosa, Senglea and Cospicua. The most common and easy way to get there is to use the 58m high Upper Barrakka lift in Valletta that you can take downstairs for free. This lift will bring you down in 25 seconds from where you can enjoy the beautiful view of the harbour. 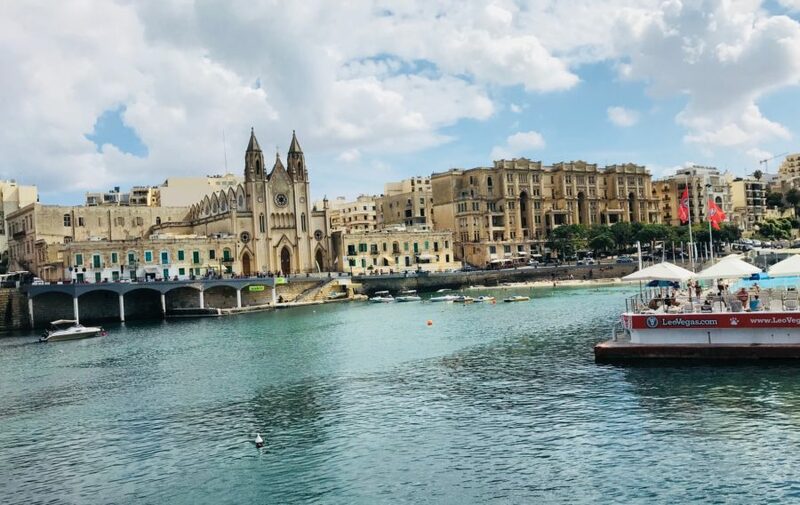 It is also possible to combine the ferry ticket to the Three Cities for the lift as the quickest alternative to get back into the city from the Valletta waterfront. The three cities are mine kind of area: tranquil streets, picturesque views and colorful details of the architecture. This is where the Knights of St. John first settled in the 16th century and many of the buildings and forts are older than in Valletta. Vittorioso also known as Birgu existed since the Middle Ages well before the arrival of the Knights. It’s also the most popular and impressive one. Vittoriosa’s waterfront is truly impressive with various sizes yachts and a fortress on a peninsula. Senglea & Cospicua suffered great damage in WW2 and needed to be rebuilt. Today they are full of golden limestone houses blended with historical buildings, charming narrow streets and appealing restaurants. The Three cities are indeed an open air museum where you can get lost for the whole day. While you are in Malta it’s crucial to taste the traditional cuisine which offers you an influence of cultures like Sicily, Arab and Malta’s own. The prices in Malta are a bit high for the EU standards: 10-15€ for pizza or pasta and 20-25€ for mains. 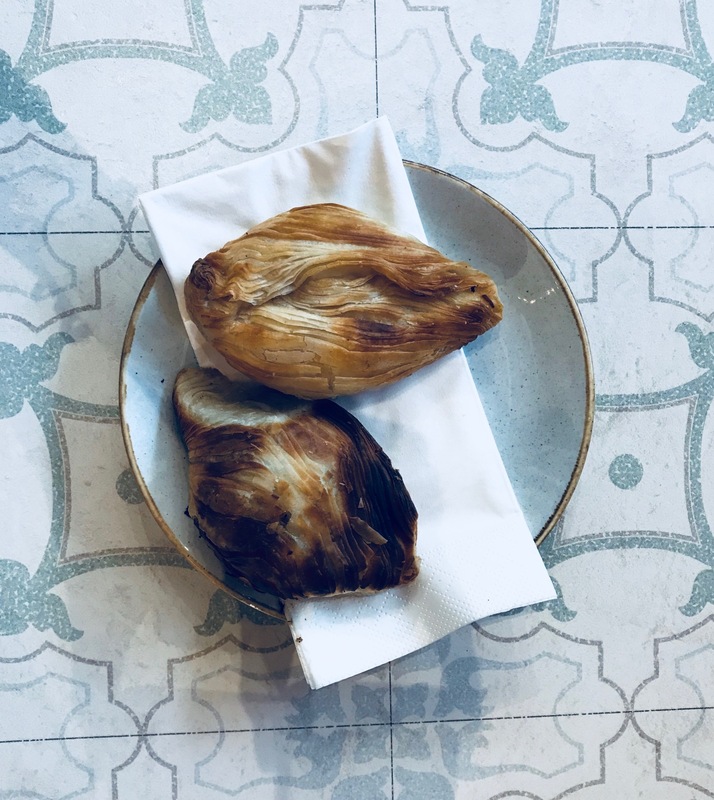 A typical and very popular Maltese snack is pastizzi: Deep fried pastry filled with ricotta or any other delicious mix of vegetables and meat. It’s extremely tasty but you need to be careful not to exaggerate with it’s consumption because one pastizzi which costs around 30-40 cents contains about 500 calories. Yes, I know calories don’t count on vacation but there should be a limit. To experience high quality and traditional delicious food I would suggest to visit Nenu the Artisan Baker in Valletta. 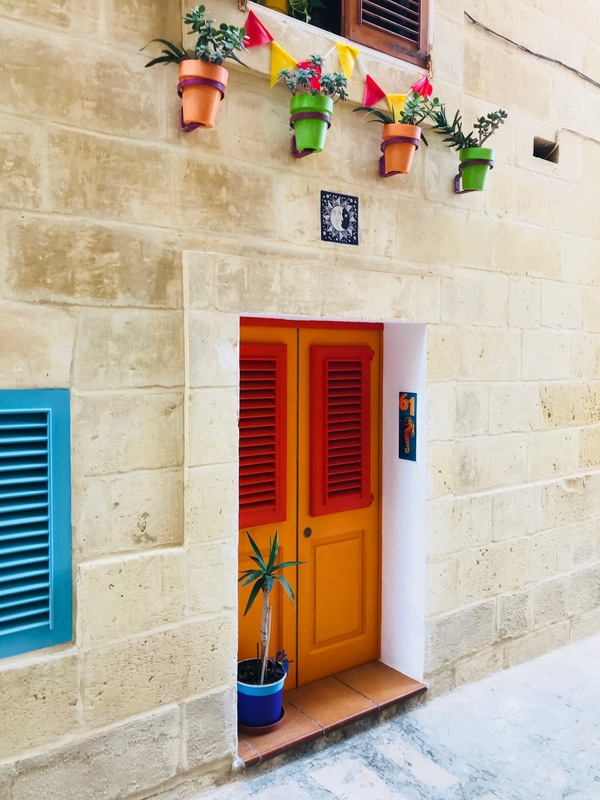 This place is not only serving local authentic cuisine but also lets you immerse into the history of Malta. 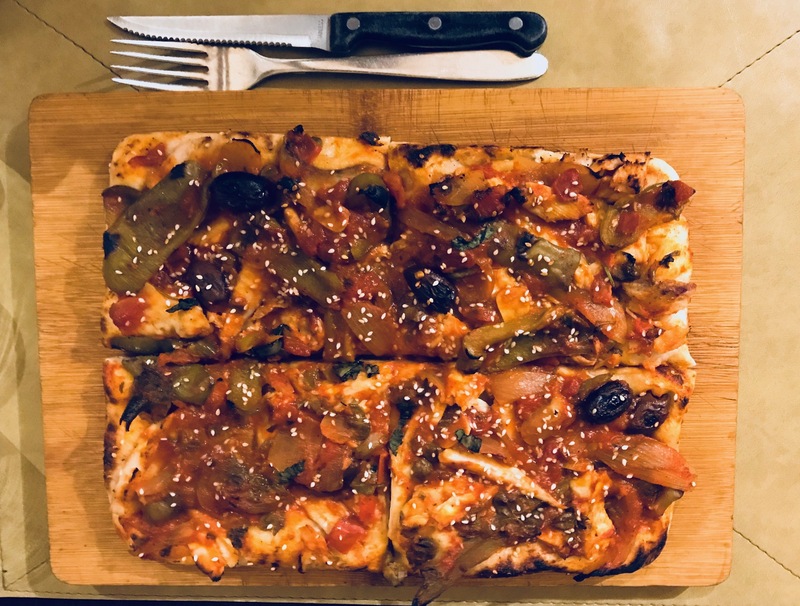 Relics of the old bakery can be seen in the restaurant and their traditional delicious Maltese pizza, ftira is made in an oven that is between 80-100 years old. Ftira has a thick but fluffy base and often topped with different local specialities like cheese, fish, meat, olives and even potatoes. We’ve tried one with the seasonal local fish Lampuka. In addition to it we ordered the local favorite beer Cisk and Malta’s very own soft drink, Kinnie, which is made with bittersweet oranges and aromatic herbs. Kinnie reminded me somehow of coca cola with a zesty orange aftertaste. We also ordered a traditional octopus stew with potatoes, which was my flavorful highlight of the night. Before our mains were served we were being treated with fresh-made Maltese bread and delicious dips. Important to mention that Maltese hospitality is a top class in service: The staff is quick, helpful and friendly. 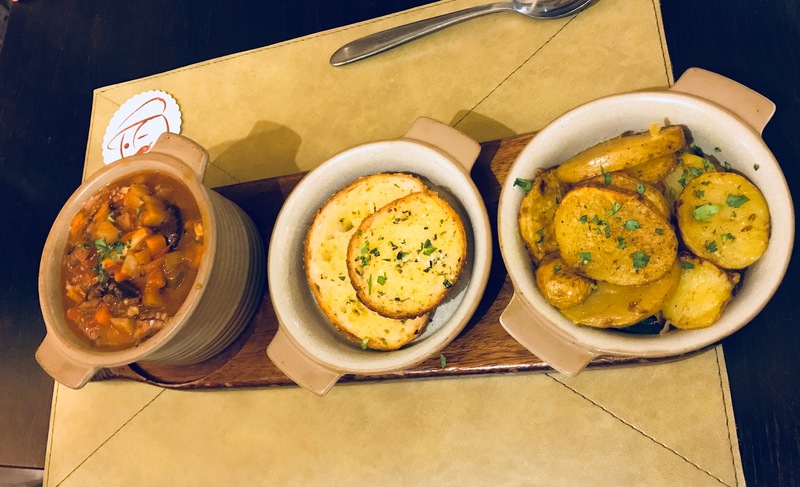 Nenu’s menu offers great choice of Maltese food with decent portions. This place is also very beloved by locals so I suggest that one makes a reservation. For a tasty cooling dessert on a the hot day I would highly recommend to visit the small but wow ice cream café Amorino. 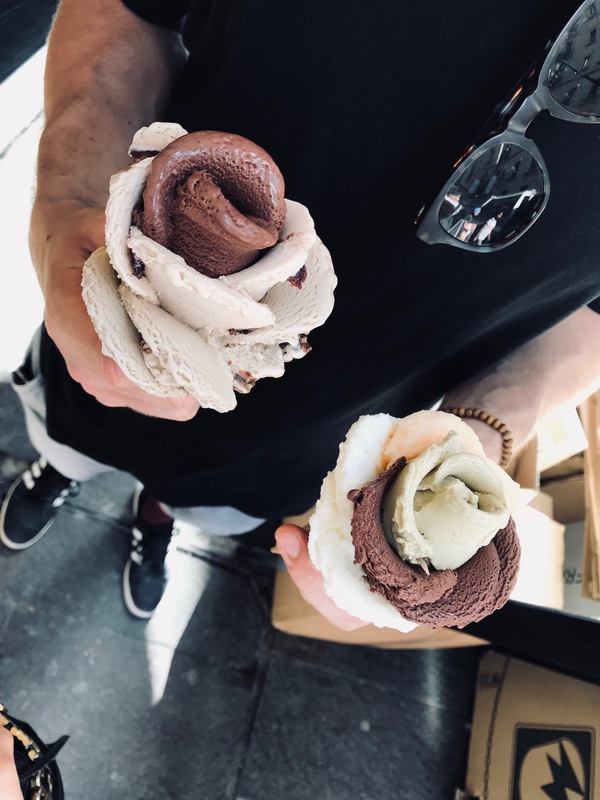 This place is not only serving delicious Italian ice cream with natural ingredients and amazing flavors but also shapes your ice cream into a flower, a true masterpiece. You can also ask to taste some flavors before you make your final decision and add as many as you want to your floral creation. If you are searching for some other interesting holiday destinations in Europe, you can find some inspiration here!